When we are putting together our slide decks, what do we spend our time thinking about? More often than not it’s about how many slides we are going to be creating and what cool clip art we can use (or even worse: what cool animation we can add). It turns out that we might be overlooking one of the most important factors that can cause our audiences to remember what we show them. What we’ve been skipping is color. Oh, I don’t mean that we don’t use color in our slides – no B&W decks here. However, if you are like most speakers then what color something is can almost be an afterthought. This means that we’ve been missing the boat. Often times what we have is a lot of data that we want our audience to see. However, the real meaning of that data is hidden and it’s up to us to tease it out and make sure that our audience understands it. This is where color can help us out. If you’ve ever watched one of those fancy fashion shows, then you understand just how powerful color can be in conveying information. Your audience is going to be drawing conclusions from the images that you present to them in your slides. The colors that you use to do this is going to play a critical role in how effective this all is. 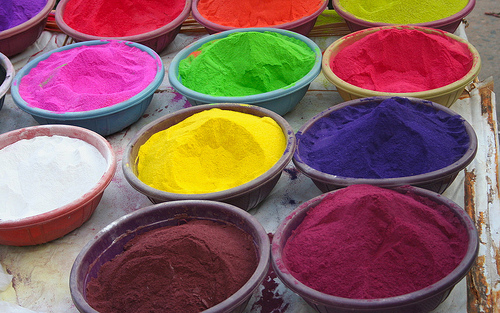 The color experts have studied how we process colors and they’ve learned a few things. One of the most important things is that when we can name a color, then we are better able to both understand and communicate the information that it contains. That’s why using “ice” blue when you are talking about climate change will boost your audience’s understanding of your message. As powerful as spending extra time picking the correct colors to use in your next presentation can be, it does come with its own set of challenges. What we need to keep in mind as presenters is that the way that our deck of slides looks to us may not be the way that it looks to our audience. We need to be aware that in our audiences, there will probably be people who have partial sight and color deficiencies. Since we want our message to connect with them just as much as with everyone else, we need to adjust how we use colors in order to meet their special needs. This means that we need to not use colors of similar lightness next to each other. Simple steps like this will help the 285 million people world-wide who are visually impaired and the 246 million people who have low vision. As public speakers we are always looking for ways to improve our ability to connect with our audiences. It turns out that we may have been overlooking a simple way to improve how we do this by using colors more effectively. The experts who study such things tell us that our audience will always be using our images to reach conclusions and by using colors we can help steer them towards the conclusions that we want them to reach. We do need to be careful in how we use our colors and keep in mind that some of the members of our audience may have partial sight or color deficiencies issues. Moving the selection of what colors we are going to use in our next presentation from being an afterthought to being one of our first decisions is easy enough to do – making these kinds of simple changes is one of the benefits of public speaking. Now all we need to do is to make sure that the colors that we select help us to do a better job of telling our audience the story that we want them to hear. Question For You: Do you think that there is a limit on the number of different colors that we should use in a single presentation?